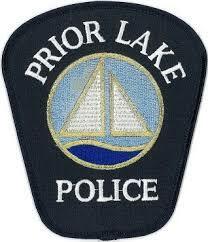 Prior Lake’s next interim police chief will be Don Gudmundson, a former sheriff, police chief and homicide detective with a track record for community policing and law enforcement reform, city officials said Wednesday. Gudmundson will take the reigns of the department from his former mentee and current interim Police Chief Booker Hodges. Hodges is leaving the city on April 15 to take on the role of Minnesota Assistant Commissioner on Public Safety. Hodges said the department will be in capable hands. Gudmundson brings over 48 years of policing experience; his position is intended to end mid-June, when city officials expect to select a long-term police chief. The Peterson native began his policing career in 1971 as a campus police officer at Wayne State University in Detroit, according to Prior Lake, the Pioneer Press and other sources. Within three years, he had joined the Detroit Police Department’s homicide squad as a detective. Gudmundson eventually made his way to Illinois, where he worked as a Special Agent with the Illinois Bureau of Investigation as part of the Cook County Task Force investigating mafia murders. Gudmundson returned to Minnesota in the late ’70s as the Fillmore County sheriff. Over the next three decades, he added the titles of Lakeville police chief, Dakota County sheriff, Faribault police chief and interim Steele and Stearns county sheriff. Gudmundson is the only person in the state to have served as sheriff of four counties. The statement received national attention, in part because the case was featured as the focus of a season of American Public Radio’s “In the Dark” podcast. Over the course of his career, Gudmundson mentored dozens of officers who would go on to lead departments of their own. Hodges said there was a kind of lore around working with Gudmundson. Among these mentees are two of the state’s four African American police chiefs: Hodges and St. Cloud Police Chief Blair Anderson. In 2009, Gudmundson received the Minneapolis NAACP’s President Award for his work in creating the most diverse law enforcement organization in the state. Hodges said his former boss has a record that is respected nationwide. City Manager Michael Plante said that respect was very apparent as the city considered interim options for the police department. Prior Lake didn’t provide contact information for Gudmundson by press time.